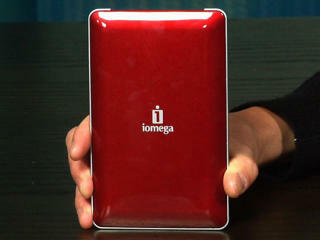 Iomega, an EMC company and a global leader in data protection, has announced the completion of its new Mac-oriented hard drive line with the launch of the new Iomega eGo Mac Edition Portable Hard Drive, an on-the-go stylish drive with plenty of storage that can withstand drops and still travel easily in a pocketbook or briefcase. Combined with the recent launches of the Iomega Helium Portable Hard Drive and the Iomega Mac Companion Hard Drive, Iomega now has a complete new line of portable and desktop hard drives for Mac users. All three new drives are formatted HFS+ for compatibility with Mac computers right out of the box, making them perfect complements to today’s Apple notebooks and desktops. I recently made the move from a desktop to a laptop as my main personal computer. One of the compromises I had to make when moving to an ultraportable laptop with SSD drive was storage space. My first impulse was to purchase an external hard drive (HD). All I needed to do was decided between buying a USB 2.0/3.0 drive now or waiting for a reasonably priced Thunderbolt capable external drive later. After weighing my options, I came across a solution I hadn’t initially considered, a network-attached storage drive (NAS). The NAS drive commonly referred to as Cloud Storage drives operates as a secure file server on your home or office network.